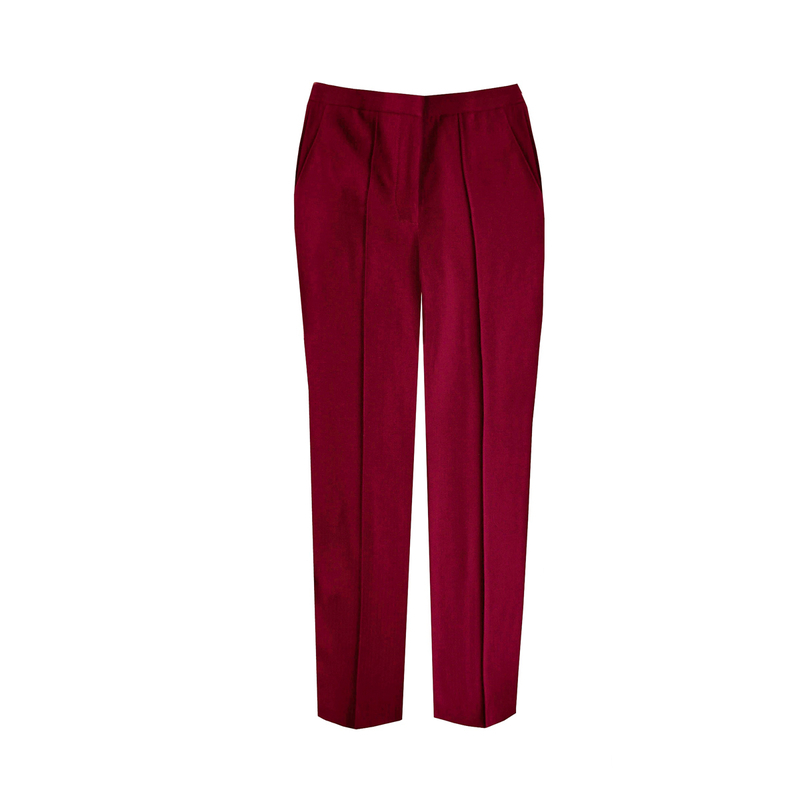 Our model is 5'3" (161cm tall) and is wearing a size 8 trouser with 28 inch inseam. Model's measurements are Bust 32C, Waist 26', Hips 35'. Burgundy trousers look ultra chic when worn with a pink blouse - a favourite color-blocking choice worn by Vogue's fashion editor and reknown blogger Wendy Nguyen from 'Wendyslookbook'.